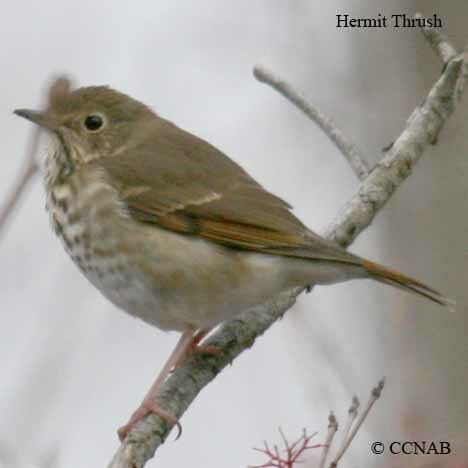 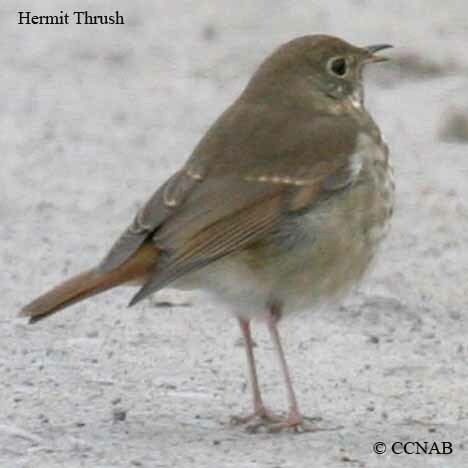 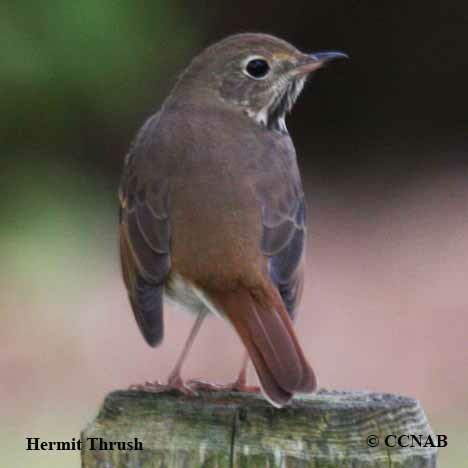 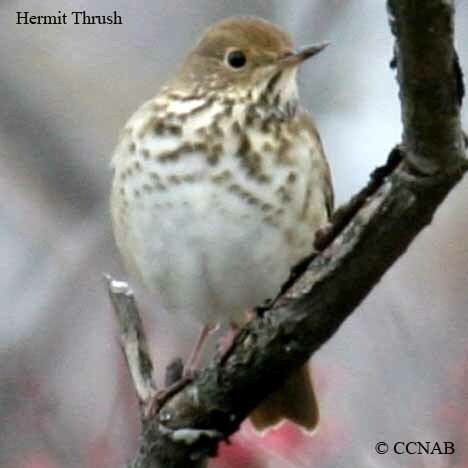 The Hermit Thrush is the smallest member of the thrush family. 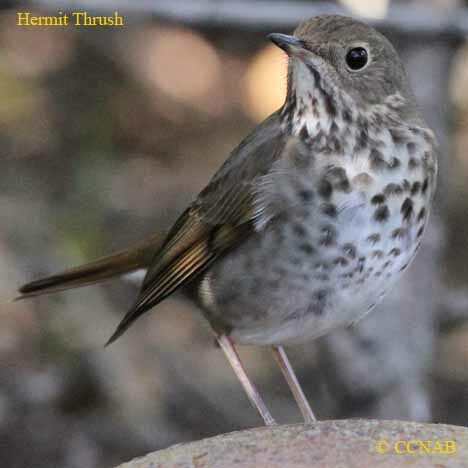 This hardy little bird is the last thrush to migrate in the fall and the only North American thrush, that can still be seen inside the boundaries of North America in the winter months. 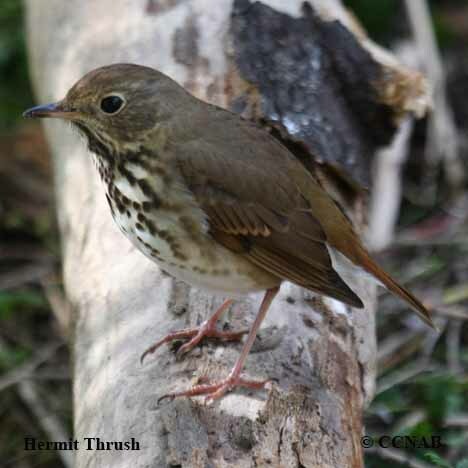 This thrush display a rufous back and tail feathers.